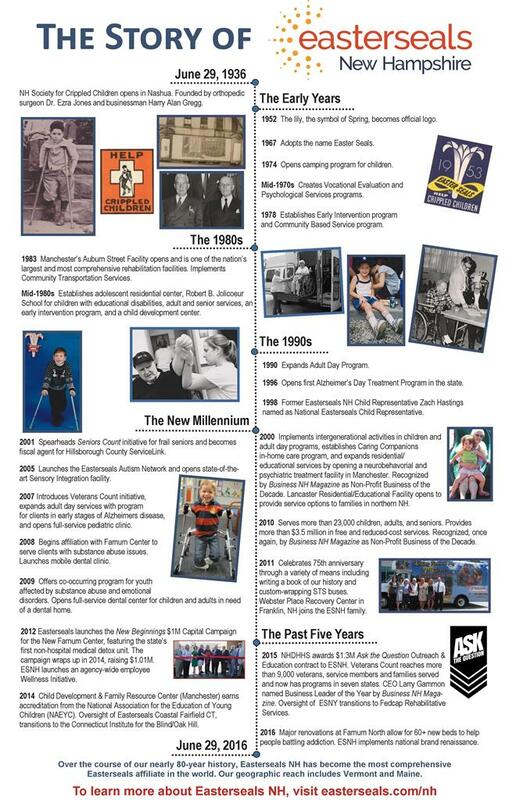 Easterseals NH opened its doors in 1936 as the NH Society for Crippled Children under the leadership of NH’s first orthopedic surgeon Ezra Jones and Crotched Mountain founder Harry Gregg. At that time, the organization provided services to children out of a small office in Nashua, NH. For more than 80 years, Easterseals NH has provided exceptional services to ensure we change the way the world defines and views disability by making profound, positive differences in people’s lives every day. 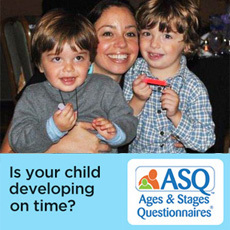 Our 12 core programs and services include Child Development Centers and Family Resource Center, Early Supports and Services, Autism Services, Residential & Educational Services, Special Transit Services, Camps and Recreation, Community Based Services, Workforce Development, Military & Veterans Services, Senior Services, Substance Abuse Treatment, and Oral Health Services. As a leader in social services for individuals with disabilities and special needs, Easterseals NH employs more than 1,400 individuals who serve more than 25,000 children, adults and seniors. In 2018, ESNH served more than 28,000 children, adults, seniors and veterans in communities throughout New Hampshire.